When you think of a house party, you tend to think about a small cozy gathering at home that starts off with a few drinks and leads up to you and 10 friends singing along to the Backstreet Boys’ top hits from the early 2000s…at the top of your lungs. Maybe add in some beer pong, a bowl of punch made from literally any type of alcohol you can find in your cabinet, a crappy Christmas light set-up for décor, and some passed out people on the sofas and there you normally have it, the best house party ever. The key word in that sentence is “normally”. In comes Bacardi, the largest privately held, family-owned spirits company in the world and also the name famous for their rums, who does not usually like to do “normal”. Of course, a company that makes a rum that has won over 600 awards – more than any other alcoholic drink in the world – will only settle for the spectacular and it is clear with their latest concept event, the Bacardi House Party, that they are aiming for the stars. This house party was conceptualized to be unlike any other house party but to still give you that homey feel. Although the concept of the party itself has been replicated in other countries around the world already, it was activated on June 1st, 2017 at DEMO club in Bangkok for the first time. The event allowed revelers who attended the event to be immediately transported to a friend’s garage from all of the awesome decorations on display and get served drinks from a very unique Bacardi House Party gazebo that you could enjoy with your friends who came along with you. Sounds pretty normal? 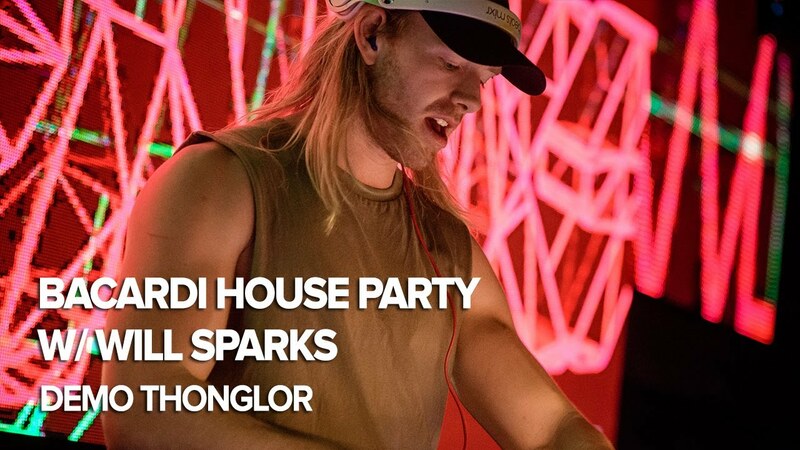 Well, the difference you may feel at this particular house party compared to any other house parties is that “your friend” in this case is a world-famous DJ, in the form of a certain Will Sparks (#73 on DJ Mag’s Top 100 DJs list) – the Aussie king of dance music. The drinks that you are being served is not any old jungle juice, but properly made cocktails with REAL pineapples served in red solo cups. And well, you are standing in a club-turned-garage with another few hundred-people dancing your night away. A house party has never been this good. But really, the aim for Bacardi House Party is to encourage people to have fun in a very simple way. Proof of concept that all you need is a simple drink, some comfortable clothes, a little bit of good music, and you and your friends are more than ready to go. So, what is the big deal you ask? Ultimately, these Bacardi House Parties will be activated throughout the country multiple times, from now until the end of the year, appearing at your large-scale music festivals as well as your local bar or club. 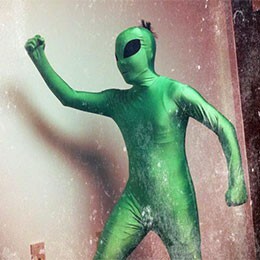 The possibilities are endless so you can all wait to be surprised. This foreplay however is leading up to what we know will be the Bacardi House Party Grand Opening Event which will be happening towards the end of the year. Word on the street is that it may be an invite-only party that may feature a superstar DJ. Details are still under wraps, but we will surely keep you updated on that. As we got to know Bacardi better from the event we began to realize that although the Bacardi rum is already a household name at most bar countertops – as it acts as the main ingredient for many famous cocktails on any drink list – there is a new world out there in which rum can conquer and that is in a home. The Bacardi House Party may just be a way to kick-start a new movement for you and your friends to throw your own “untamable house party”, giving rise to some of you as the new party-starter in town! What are you waiting for? Legends are not born, they are made. Keep your eyes and ears peeled open to the official Bacardi website as well as their official Facebook page to see what is going down in the next few months and to see if maybe you can party it up so hard that you will be a deserving member of the exclusive club to rub shoulders with some of the biggest influencers in the game at the next Bacardi House Party event. Remember, with great power comes great responsibility – so do not forget to live passionately. DJ Run Festival Thailand: On Your Mark, Get Set, Rave!